There is a lot of emphasis placed on fire prevention and fire containment in commercial buildings. With an estimated 3,340 office building related fires each year, it makes sense for building owners to employ some type of fire safety system. The smoke that accompanies a fire often does more damage than the fire itself, however, a fact that many business owners may not realize. And while alarms and sprinkler systems can help reduce the loss of life and property damage from spreading fires, they can do little to contain or disperse some of the worst parts of the fire - the smoke. Essentially, during a fire, particles from the burning material are released into the air, resulting in what we call smoke. Smoke can be considered either wet or dry, depending on how hot the fire burns and what kind of particles it releases. Regardless of what type of smoke it is, these particles can contain a multitude of different chemicals. Wet smoke occurs when the fire is not burning very hot. It contains more chemicals than dry smoke and produces an oily residue, which can penetrate and work its way into surfaces and varnishes. It moves more slowly than dry smoke and can be very difficult to clean once it’s made its way into pockets of the building. In fact, buildings affected by wet smoke often have to have their interiors stripped and refinished completely - even if the fire was sluggish or didn't result in significant damage. Smoke produced from plastics and rubbers can also be difficult to clean and contain. Even small amounts of burning plastic can produce a lot of smoke, which can form smoke “webs” on walls and ceilings. These webs then smear when touched. The smell of burning plastics and rubbers is also carried by the smoke into walls and surfaces where it can be difficult to remove. Dry smoke, which occurs from hotter burning fires, creates a powdery residue that can coat surfaces. It may also reach further into the building and cause more health concerns to those who breathe it in, as dry smoke moves faster and farther than wet smoke. The way that smoke interacts with surfaces may also mean that surfaces can continue to discolor or weaken for days or weeks after the fire is out. If smoke is not quickly eliminated and cleaned from a building, you may find that it takes even more time and money later to repair the damage. 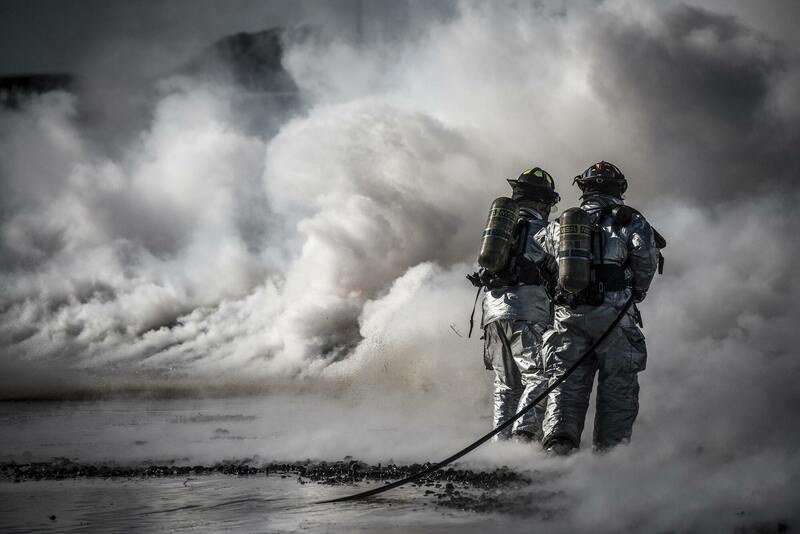 While dry smoke, which is made from smaller particles and gasses, is less likely to do significant damage to buildings, it’s often more likely to cause health problems. 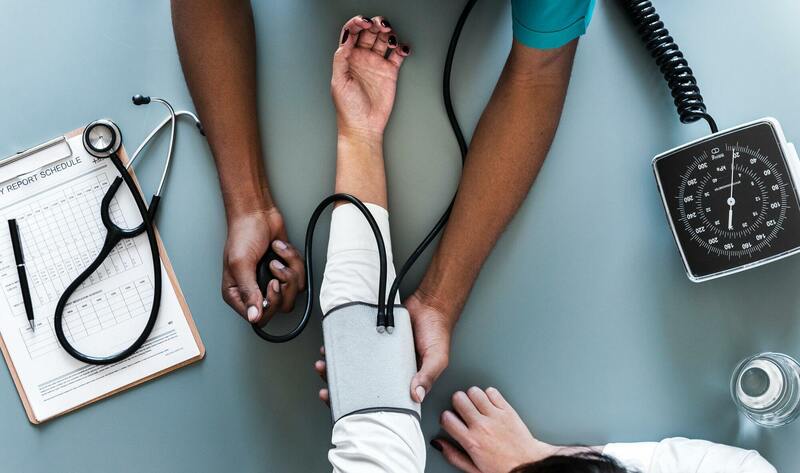 Breathing in smoke can cause serious respiratory and cardiac distress in a wide range of people, especially the very young, the very old and those with existing health problems. Inhaling smoke from the fire also decreases the amount of oxygen in the lungs. If enough smoke is inhaled, then the person may suffocate. This death can occur even if the fire never reaches the building's occupants or if the fire is considered to be contained or slow moving, as most fire containment systems don’t stop the spread of smoke as well. The danger of smoke to a building and its occupants, as well as the damage it can do, has been known for decades. It’s therefore common practice for firefighters to attempt to ventilate and remove as much smoke as possible from the building. This is particularly crucial if the smoke is not being contained near the fire but is spreading to other parts of the building. To quickly ventilate and remove smoke, it’s common practice for firefighters to cut holes in the walls and roof to help get the smoke out. The more the smoke has had a chance to travel before their arrival, the more ventilation holes that will be necessary and the more damage there will be to repair after the fire is out. With the number of fires reported each year, business owners should be paying attention to ways that can help minimize smoke damage. By installing smoke containment systems, you can help keep smoke out of escape routes, allowing occupants to evacuate easier. You can also help prevent the smoke from traveling throughout the building and causing more damage than the fire itself. Smoke curtains from Smoke Guard can help you contain smoke and prevent it from leaving the area the fire began. When smoke is detected, or when the curtains are manually activated, they deploy, blocking off areas of the building. This includes places where smoke is most likely to travel, such as elevator shafts and stairwells. A smoke curtain installed in these areas is unobtrusive when not in use. When deployed, the curtain will descend to cover the entryway, so that smoke cannot travel through it and into the rest of the building. Smoke curtains are useful at stopping and blocking the spread of smoke, keeping it to one area, so it’s less likely to damage large areas. 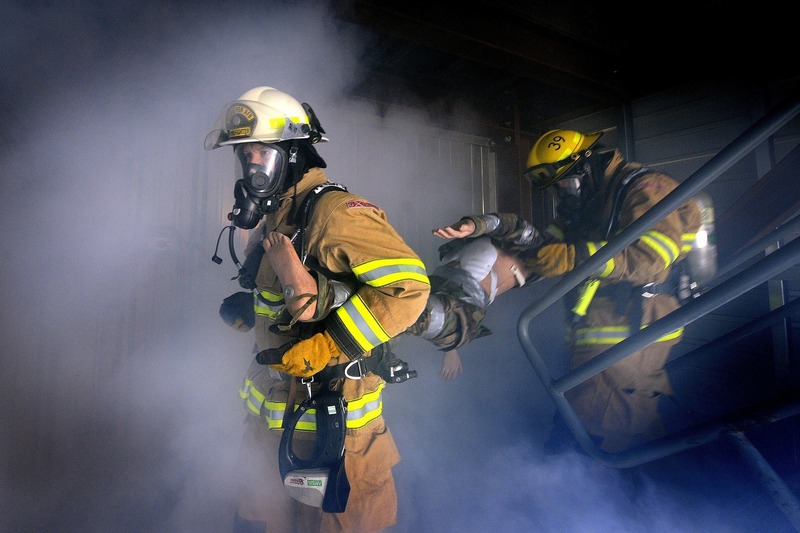 They are designed to deploy automatically at the start of a fire, so there is less chance the smoke can reach or harm people or other parts of a building. 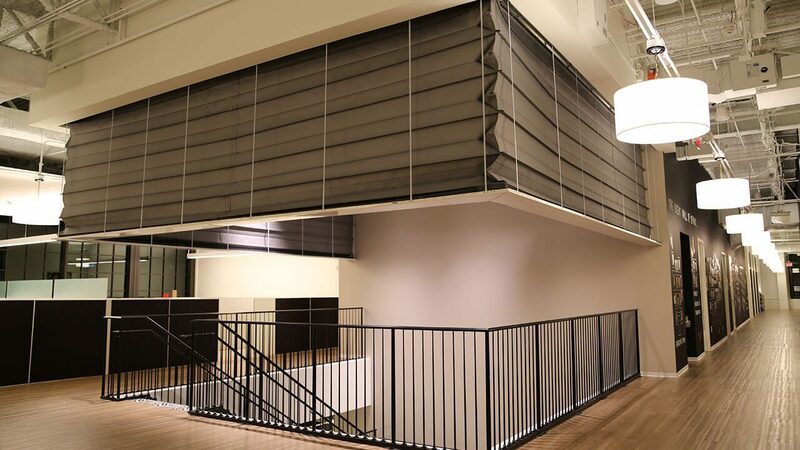 No matter what type of building or its configuration, using smoke curtains can help you prevent a lot of the damage and health effects that smoke can bring. Smoke curtains are subtle, meant to deploy when needed and kept out of sight the rest of the time. They can also help you minimize damage costs and loss of life in the event of a fire. 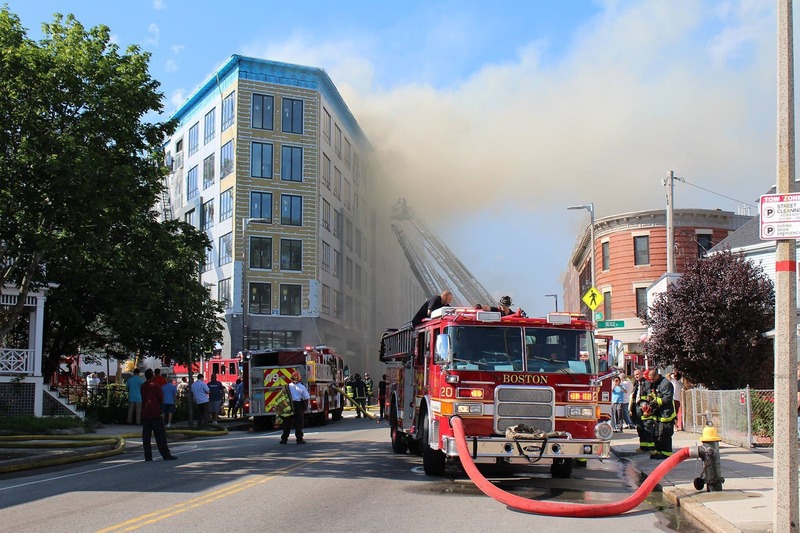 Make sure you pay attention to the potential damage that smoke can bring to get the best protection possible for your building. Contact Smoke Guard to speak with a professional when you’re ready to protect your building.